Michael Petzel is fast becoming one of our favorite Weird Bass producers. Bursting out of northern California with a prolific string of remixes, collaborations, and original heat, Shlump is dropping a full stack of tunes on ShadowTrix Music. The underground bass label has shined a spotlight on some of our new faves, and they've made a statement alongside Saturate Records and DJ Shadow's Liquid Amber imprint as a record factory to watch. Today, we premiere the title track from Fracture, which pairs drippy melodies with trunk-rattling bass and alien effects. The drum sounds and innovative programming really makes this a standout on already bonkers album. Fans of EPROM and G Jones will be falling over themselves to snag this new fire. It's trippy enough to capture the imagination of the heads, while its thick trap sounds can play to mainstream audiences with ease. Shlump gets four remixes from Party Wave, BOATS!, PROKO!, and RudeBoyNoize compatriot Trevor Kelly. This is one of STM's finest releases, but you absolutely have to check out the back catalog, which is chock full of the good stuff. 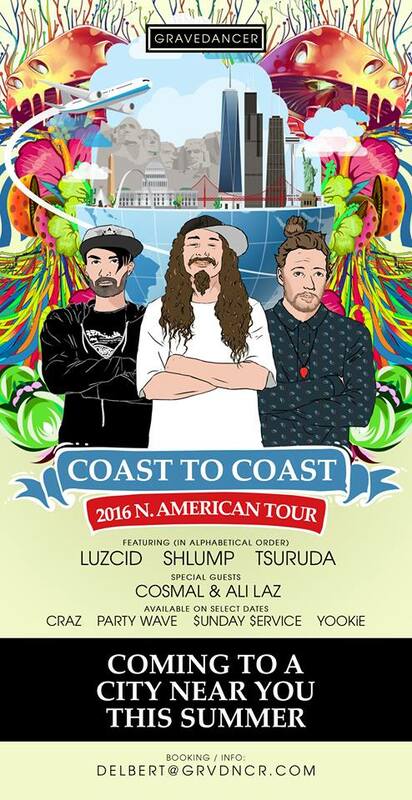 Petzel just announced he'll be joining LUZCID and Tsuruda on nationwide tour, which is going to be one of the hottest shows this year. Stay up on Shlump, people.